BristoLatino’s Edie Essex Barrett is currently on her year abroad in Santiago, Chile, working to relaunch the old publishing house: Editorial Nascimento. The literary brilliance of prominent Latin American poets such as Pablo Neruda and Gabriela Mistral continues to be acknowledged and celebrated across the globe. However, their extensive successes and bibliographies make it too easy to overlook the publisher behind these figures. Initially more of a gamble than a decision, a publisher – responsible for the selection of talents – often kickstarts many careers. Carlos George-Nascimento founded the Editorial Nascimento (Editorial translating to ‘publishing house’ in Spanish and Nascimento to ‘birth’ in Portuguese) which published and launched the careers of internationally acclaimed figures such as Vicente Huidobro, Pablo De Rokha, Nicanor Parra, Violeta Parra and the formerly mentioned Pablo Neruda and Gabriela Mistral among many others. 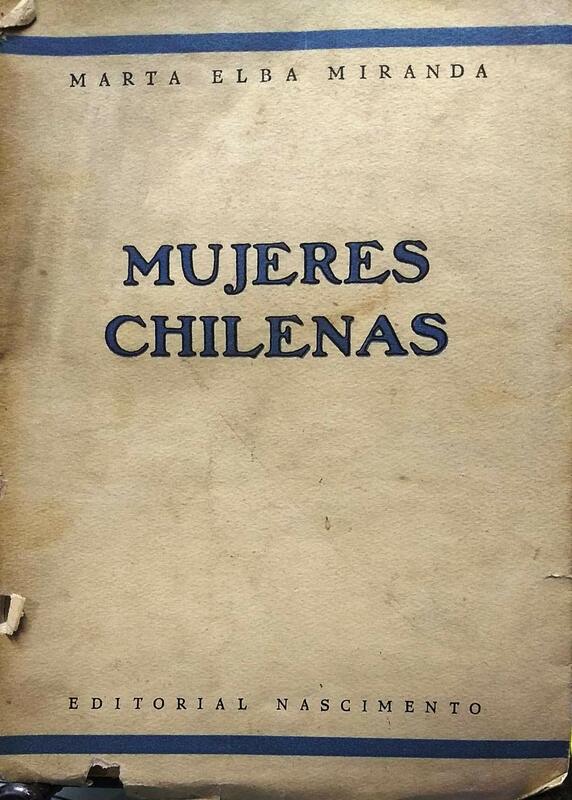 Based in Santiago de Chile and active for a period of 70 years from 1917, Carlos published more than 6,500 titles. Not only did these titles include the first women writers in Latin America, but they also won the respective authors and poets two Nobel Prizes in Literature and more than forty Premios Nacionales de Literatura (National Prizes for Literature). Neruda’s Veinte poemas de amor y una canción desesperada (Twenty Love Poems and a Song of Despair) first published with Nascimento in 1924 remains the world’s best-selling Spanish language poetry book and has been translated into countless languages. Carlos George-Nascimento was actually born in the Azores, Portugal, more than 5,700 miles away from Chile. His presumed line of work was either a whaler or a fisherman. Yet from a young age, Carlos favoured literature to a career in seafaring. So, in 1905 he left the Azores in search of his dream career in publishing – travelling first to Massachusetts and then to Valparaíso. Hoping to assist his uncle João, the owner of the Nascimento bookshop in Santiago, Carlos was in fact dismissed on arrival, and was forced to move to the south of Chile for the next 12 years. Carlos seized his opportunity in 1917 when João died, and travelled to Santiago to close down the bookshop. Purchasing a printing press machine, Carlos initiated Nascimento’s first publishing activity. Nascimento’s extensive back catalogue is intrinsically tangled up with the history of 20th century Latin America. Neruda and Mistral are just two examples. Adam Feinstein, Neruda’s official English language biographer told me in an interview that “Neruda was always grateful to Nascimento”. Beginning his career in his early 20s as “un muchacho…muy flaquito y pálido” (A young boy… skinny and pale), Neruda’s early successes with Nascimento quickly transformed him into an international superstar. Meanwhile, he became a highly influential diplomat in various countries throughout his life such as Spain, France, Argentina and Mexico. He also held the post of special advisor to the Chilean Allende government and was the Senator of the Chilean Communist Party. Neruda continued to return to Nascimento throughout his life, and even dedicated his famous house in Isla Negra to the publisher. Before Neruda, Nascimento published Gabriela Mistral’s Desolación (Desolation). In 1945, she became the first Latin American to be awarded the Nobel Prize in Literature and had an equally rich political presence as a Consul in Spain, Italy, Portugal, France and America. Nascimento officially ceased activity in 1987 and remained mostly inactive for almost 30 years. Despite this inactivity, a surge in interest in the publishing house emerged in 2014, bringing the public’s attention to the treasure trove of history that lay waiting. In just a few years, a film and biography about the life of Carlos George-Nascimento were released and exhibitions were held at the National Library of Chile and of Lisbon. A centenary event was also held in the British library which possesses many first editions of Nascimento titles. Currently, Pablo George-Nascimento (Carlos’s great-grandson) is relaunching the publishing house, with 21 titles from the back catalogue to be released over the coming years. The collection is called Chile en el mundo y el mundo en Chile (Chile in the World and the World in Chile) and it calls attention to Chile’s lesser known but highly intimate literary connections to other countries around the world. The more work that goes into the relaunch of this publishing house, more questions emerge. Who designed some of the book covers? Why were they designed this way? Why were certain titles published in the first place? 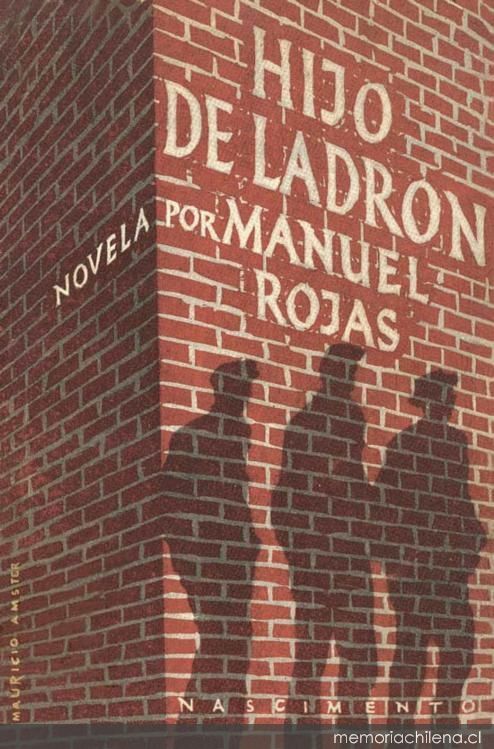 What is known is that despite the 30 years of inactivity, people across all echelons of Latin American society still have palpable memories and personal connections to the Editorial Nascimento, whether that be a familial relation to a poet or author, or, simply a special memory relating to one of the published titles. As the relaunch work progresses and specific research is eventually undertaken, we hope that the answers to these questions will slowly be revealed.